Congratulations and thank you to Boy Scout Troop 5, who have been a Maplewood 4th of July partner for 40 years! The Scouts’ traditional hot dog/hamburger concession stand will be back on our South Field this 4th! 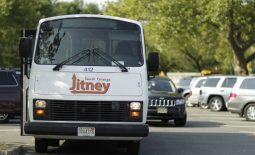 Jitney Service From South Orange! Community Service Summer Food Drive at the 4th of July Festival!